Yorkshire born and bred, Lucy is passionate to show people that you can live a life of adventure without giving up the day job. From this passion #LivingInTheWeekend was born. In the space of just six weeks she ran the London marathon, cycled 300km London to Paris in 24 hours and completed an expedition in the Arctic Circle; trekking the mid-section of the Kungsleden - the third group in history to undertake the expedition in winter - and was back at her desk working as a lawyer between each trip. Later the same year she also ran 250km in 5 days across the desert - not your average week off work! There’s more to life than burpees and squats and growing a booty in the gym. What I share on this little space on the Internet and on social media is fitness, but not as you know it. It’s being active in real life and getting outdoors, it’s not running on a treadmill or lifting weights in front of a mirror at the gym. It totally sounds cheesy but I cannot imagine a life where I didn’t see the beauty the world has to offer and I don’t mean going to far flung countries. I’m talking about getting up early to see the sun rise before work, or having the courage to head out on an expedition at the weekend to explore the mountains in Scotland, the Lakes, a local adventure. Sure there’s a big adventure inside lots of us, but there are also mortgages, families and responsibilities. I want you to take that big challenge you have in your head, you know the one you think you’ll never be good enough to do? I want to give you the skills and confidence to that and this is what I’m all about and what I share on this blog. I have been that person who scrolled through social media and wished that I could give up the rat-race and travel the world and I could but that’s not actually my dream. I’ve discovered that you can actually have both. You can have a great job and a career and travel the world completing challenges that never in your wildest dreams you believed you could. Why do I care about sharing this? Because I know it’s what I’m meant to do. I think now about the life I used to have, that New Year’s Day not so long ago when I looked back on the year which had passed and realised I hadn’t done anything, for a whole year. I hadn't been on one holiday or done one memorable thing I could remember except go to work. Yes adventures are daunting but do you know what’s scarier? Looking back on a your life and realising you never made the most of it. That you haven't done one thing in the last 12 months which you can look back on and smile. I am not living my life like that anymore and I’m ready to help you make your life begin too. Well, not only did I learn tonnes along the way, I also ignited a fire in my belly. A fire that made me want to go out and make everyone everywhere feel the way I do. And so that's what I do. I'm really passionate about showing that people can hold down tough jobs with long hours in the City and still enjoy a life of adventure. Yes there's a bit of juggling to do and some compromises along the way but I am determined to show that you can live a life of adventure and the first step, is believing that you can. In addition to exploring the world on adventures and working full time, Lucy is a qualified personal trainer and trains women in London and online helping them to change their mindset around healthy living. Lucy is the co-founder of the Fit Hub, a fitness membership site for women who train together as a community to support each other and in reaching their fitness goals. Lucy also runs a bespoke 1 month programme for people who want to change their life and start living a life they love, but don’t know where to start. 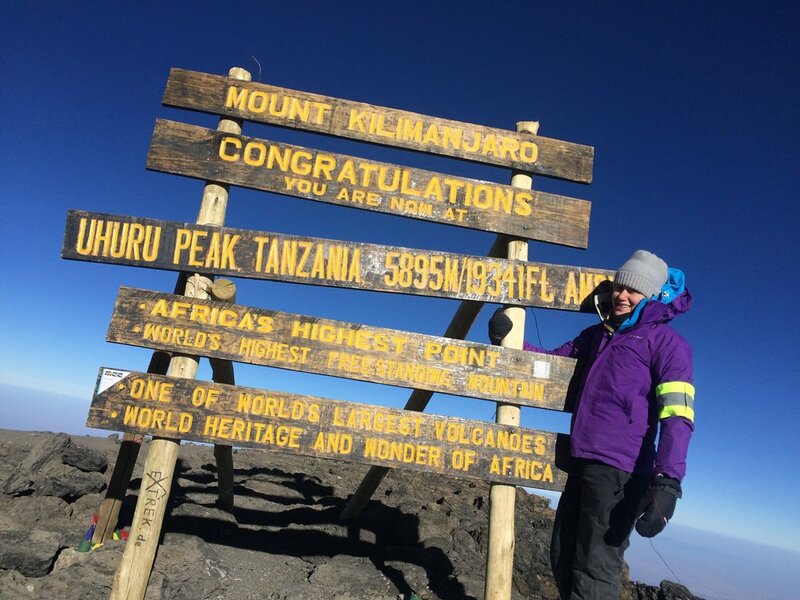 ‘I Can and I Am’ is Lucy’s passion project to show as many people as possible that they have got what it takes to live a life of adventure and Lucy shares her skills and experience to help you put fear in the back seat and really start living. 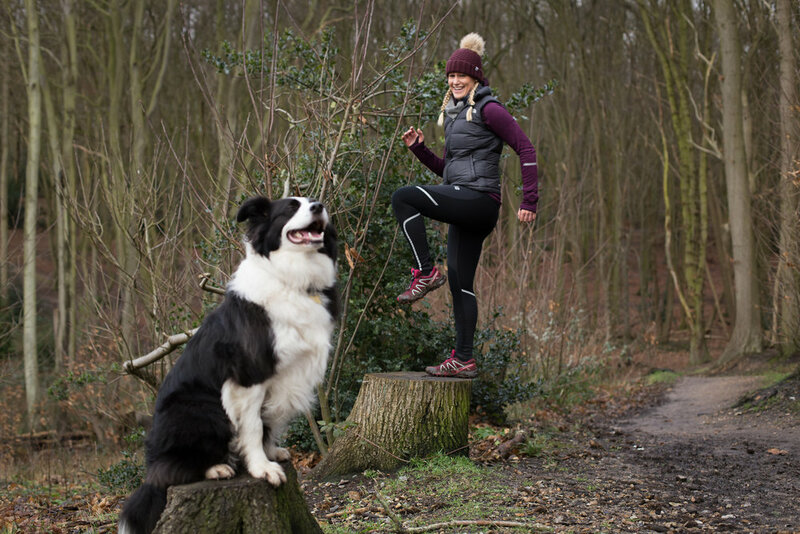 Check out @lucy_fitness on social media where you'll find Lucy juggling healthy living, a full-time job as a lawyer and heading off on new adventures; throw in a lively border collie, Gatsby, and you've got Lucy Fitness.